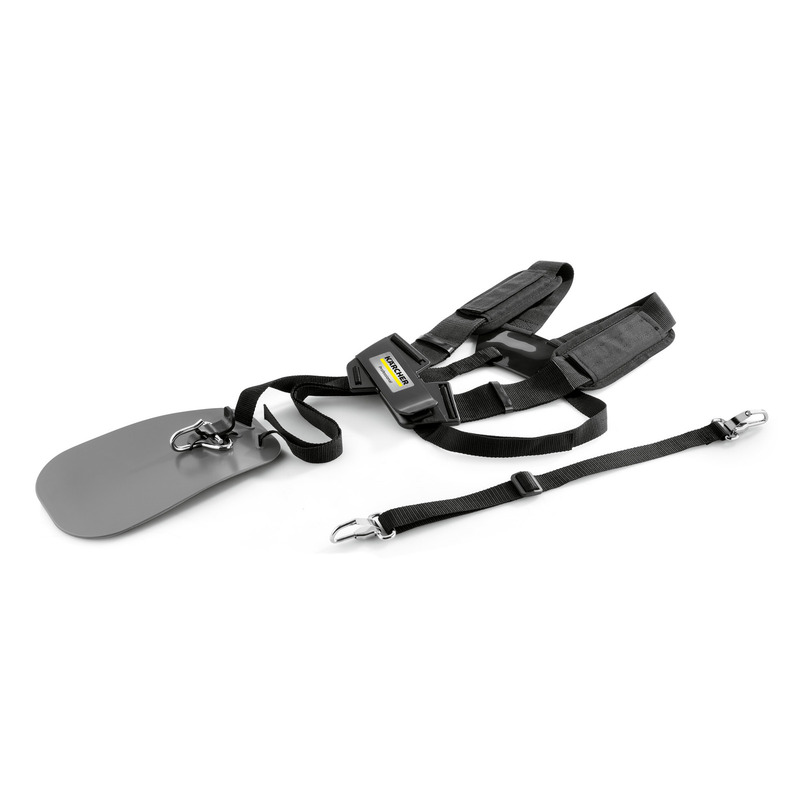 Carrying strap combined 69905480 https://www.kaercher.com/ae/accessory/carrying-strap-combined-69905480.html For battery-powered leaf blowers and strimmers from our 50 V range: Ergonomic double-shoulder carrying strap for relieving the strain on users during long work activities. Double-shoulder carrying strap developed for long and fatigue-free work activities with our battery-powered leaf blowers and strimmers from the 50 V range. The carrying frame optimally distributes the weight of the respective machine to several contact points, thus reducing the strain on the user. Soft shoulder pads ensure maximum working comfort with the ergonomic carrying strap.